Wayne Fitzgerald is an American main title designer with a career that has spanned 55 years and close to a thousand film and television title sequences. He has collaborated with and designed for such directors as Francis Ford Coppola, Robert Redford, Roman Polanski, Warren Beatty, and John Hughes. Upon graduating from Art Center College of Design in 1951, Fitzgerald immediately went to work at Pacific Title & Art Studio. He worked on many titles during his 17-year tenure there, becoming head of the art and design department. During that time, Pacific Title was responsible for all the film title work for Warner Bros., MGM, and 20th Century Fox, as well as some for Paramount and Columbia, but neither Pacific Title nor its employees received title design credit. As a result, Fitzgerald was not credited for much of his early work, like The Music Man, My Fair Lady, The Three Faces of Eve, Pillow Talk, Imitation of Life; or for early TV shows, like Maverick, The Beverly Hillbillies, Mr. Ed, and Alfred Hitchcock's Suspicion. 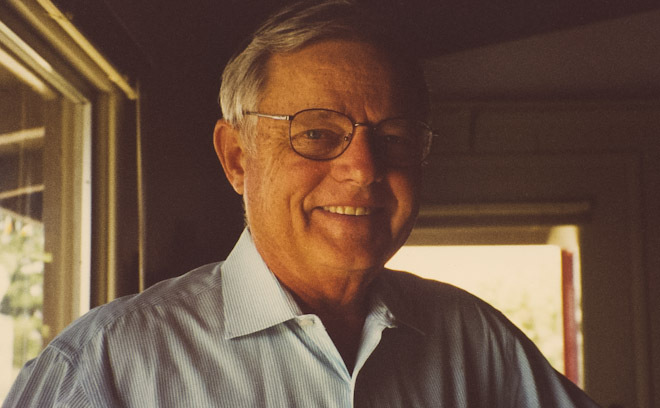 In 1967, he struck out on his own with Wayne Fitzgerald FilmDesign and went on to do titles for films including Chinatown, Nine to Five, Footloose, and Total Recall, as well as the television shows Dallas, Quincy, and Matlock. He won an Emmy in 1987 for The Bronx Zoo as well as two daytime Emmys for The Bold and the Beautiful and The Guiding Light. In 1995, he designed the logo for the Motion Picture Editors Guild. He was a two-term governor in the Academy of Television Arts and Sciences, representing title designers, and is still a member of the Academy of Motion Picture Arts and Sciences. He has lectured at UCLA and AFI, and taught at his alma mater, Art Center College of Design.